Buy Tickets for OC's Got Talent 2018! 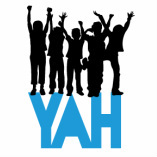 Welcome to the Youth Ambassadors of Hope (YAH) website! come up with interesting solutions, make our friends and family aware and encourage them to become active in making our community a better place to live! In the process, we develop friendships and memories!